Norway Rats are the largest rodents living in close association with humans. These rats can cause damage to properties and structures through their gnawing. Norway rats have smaller eyes and ears, shorter tails, blunt snouts and course, shaggy hair. Habits: Primarily nocturnal, these rats often enter a home through gaps as small as half an inch. Migration inside building begin in the fall when temperatures drop and outside food sources become scarce. They are shy of new objects and changes in their environment, and will avoid them for days until they become accepted. Habitat: Norway rats are social rodents and build burrows close to one another, preferably next to concrete slabs, under sidewalks, and next to houses. Outdoors, Norway rats prefer to nest in burrows in the soil under sidewalks, concrete slabs, railroad ties, and river banks. Threats: Rats occasionally bite, and can introduce fleas into a home. 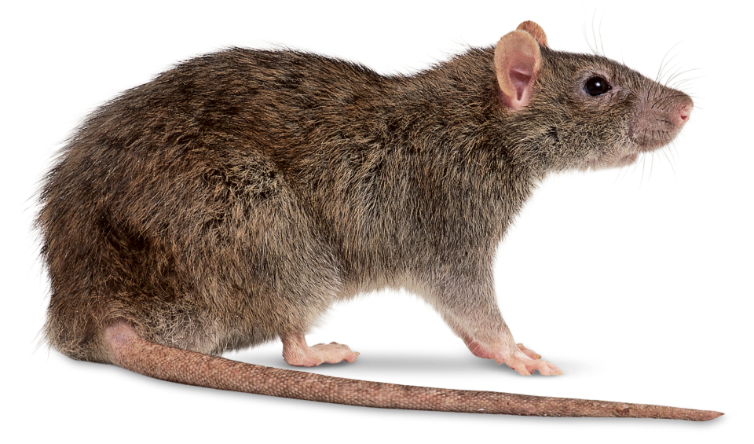 Rats are vectors of leptospirosis; this disease is acquired by eating food and drinking water which are contaminated with infected rat urine. can cause damage to structures through their gnawing and eating.